Surely, you will take your smartphone with you on a trip as we can hardly imagine the leisure of a modern person without it. For phones, there are many applications that will be useful during any journey, wherever you go – a ten-day hike or to the hotel all inclusive. So, what applications do you urgently need to install on your phone to make the trip as comfortable and peaceful as possible? We have prepared for you the top 25 travel applications for 2018! CityMaps2GoPlan Trips Travel Guide Offline Maps – this application will be your indispensable companion in any travel. Start planning your ideal trip or vacation right now! Here you will find detailed maps available in offline mode, detailed information on various popular places and attractions, useful traveler tips and much more. The application is completely free. Maps of the application cover the entire globe. At the moment, there are tens of thousands of different popular routes in the application, but even if you do not find what you need, you can always send developers a request to insert it into the database. Now you will never get lost again. The application displays your location on the map even in offline mode due to the use of GPS. Find streets, cafes, restaurants, attractions and other objects to get a quick hiking route to your destination. Now all the detailed information about your trip will be right in your pocket. Each route is accompanied by complete and up-to-date information on various places, sights, and other objects. These data were collected from the best Internet sources and were specially prepared for convenient use. Each user of the application can leave a comment or advice to the existing routes. Therefore, you can find recommendations from other travelers, view ratings and comments of various restaurants, shops, and cafes. For more convenience, you can create your own list of places that you would like to visit while traveling. Mark these places on the map, add your own there, delete the visited sights, and also find and book rooms in hotels directly through the map. All data and maps are downloaded while connected to the Internet, and then can be used offline. Also, offline search mode works by searching for addresses, viewing licenses and comments, and determining the location by GPS. 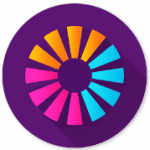 Google Trips: Travel Planner is the schedule that allows you to participate in excursions and to learn the world with the easiest way thanks to the convenient organization of tourist information. This travel planner collects all your reservations from Gmail and syncs them with your trips. Each trip contains a plan for the day, things to do, tips on nutrition and drinks, local attractions and much more. You can look through purchased air tickets, hotel rooms, rent cars, tables in restaurants and much more in one place without the need to look for everything separately. Looking through several hundred of the best places in the world, you can find popular plans for the day, organize them with the map in automatic mode, manually edit some details to make it as interesting as possible to spend your spare time. In the application, you can easily find interesting places and attractions, as well as information and reviews about them from other travelers. Each trip in the app contains many ideas and tips that are automatically organized into categories such as the best attractions, the best restaurants on the beach and much more. Can not access the Internet? Nothing wrong. The application works fine in offline mode, which allows you to access important information about the trip wherever and whenever you want. Do you want to get access to a multimillion database of travelers, photos, and maps? 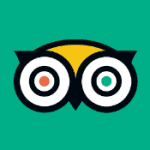 Learn more and travel better thanks to the TripAdvisor app. The application database has more than 500 million reviews and opinions from travelers from around the world. With it, you can find the best hotels and restaurants at the lowest prices, find the most convenient routes and the most pleasant entertainment in any place of your trip. Buy tickets, book hotels and make a reservation for a restaurant in one touch. The app is absolutely free for mobile devices. It compares the prices of more than 200 sites to find the cheapest hotel and also provides impartial reviews about it from a variety of travelers. Do not go to unchecked restaurants – first know the quality of the kitchen, and read reviews about the place. With the application, you will learn about interesting places anywhere in your trip, find the best offers for buying tickets, get information about the places of interest closest to you, and also share your impressions with others. Add reviews and post photos, talk about different tourism sites, rate the restaurants and share your own notes with others. The application contains information on more than 500 cities around the world and is constantly updated with new reviews. The application requests a number of permissions for correct operation, including storage of data (for storing information from Google Maps), locating (it will allow you to find nearby hotels, restaurants, and attractions), work with the camera (you can take photos and instantly share them with other users). With Skyscanner, you will join the millions of travelers, compare prices, book cheap air tickets and hotels, book a car rental from anywhere in the world. The application will select the best variants within a few seconds. You can book the next trip and get bonuses. The program works in more than 30 languages. Here you will find the cheapest tickets. You no longer have to open a lot of sites to find advantageous offers. The utility will do a search instead of you. You can use the convenient color calendar and charts to find cheap tickets. Compare the best offers from hotels, apartments, and hostels and stay connected to catch a discount. Reserve a car, choose the city or airport from which you would like to pick up the car, filter the results by fuel type and other car features to find the vehicle at the right price. This service is absolutely free and independent, and its purpose is to provide the user with the most current information about the pricing policy of airlines and hotels. With this Android app, you will be able to find and compare offers for flights and hotel rooms faster than anywhere else. The application searches for databases of the largest airlines, as well as budget airlines and small travel agencies. You can book tickets right through the application. The built-in price calendar works in an interactive mode and shows average prices by dates. Also in the application, there is a huge amount of filters for searching. Here you can specify the desired number of transfers, specify the time of departure and arrival, the airport and the airline, the type of booking and even a specific site. All of the above functionality of the application is available for finding the best variants among hotels all over the world. However, there are some peculiarities here. So, for example, you can get a detailed list of hotels that are within the specified radius from your location and view them on the map. Thanks to the function of guaranteeing the best price, you can get all your money back if you find a more favorable offer within 24 hours. It is worth noting that the application has the ability to create your own user profile. The more information you specify in it, the more suitable suggestions the search algorithm will find for you. 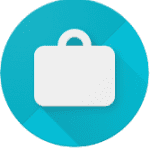 PackPoint Travel Packing List will help you to create and manage a list of necessary things on the road, or you can let this Android application create it automatically. 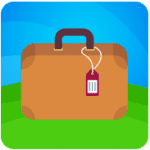 This application is the most convenient way to create and manage your virtual travel bag. Your new assistant will always tell you what things to take on the road and without which you can not do on a trip, based on its duration, goals and weather forecasts on the route. After creating and saving a list of things, they can be shared with any other user. Simply enter the destination, time and date, as well as the time of stay. The application itself will form an optimal list of things based on the type and characteristics of the journey, the weather conditions, and your personal desires. If you liked the program, be sure to link your PackPoint and TripIt accounts to even more effective creating a list of things. Take on the road only the most important things, so as not to overpay for the weight at the airport. Create a list at the very beginning of the preparations and change it during the process. All the features and advantages of the premium version of the application can be found in the settings. 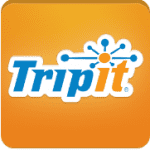 TripIt Travel Organizer will be a real gift for everyone who travels around the globe. The program is simply an indispensable assistant on long trips and, despite the name, is much more useful than a simple organizer. With TripIt Travel Organizer you can avoid the most problems which you can face on trips. It is enough just to set the basic parameters, such as the type of transport and destination, and TripIt will provide a detailed list of the most useful information. This is a full-fledged travel-organizer: you enter the flight number and name of the airline, and the program itself fills the flight card: the time of departure and arrival, the name of the airports, travel time, distance. You can also add notes and photos (for example, a photo of the boarding pass that you printed at home). In addition to the flight, you can add the reservation of your hotels, car, restaurant, and it will appear on your travel card. All information is available offline as well. Conveniently, the data about your trip will be displayed not only in the application but also in the web in your account. Here you can find anything you like, whether it’s the weather in the region or maps of the area. And if your flight is suddenly changed, the application will quickly offer alternatives. And there are a lot of such nice functions. 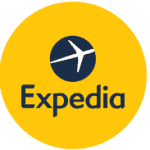 Expedia Hotels, Flights, and Cars is a travel app that helps to book rooms, flights, cars, and various services. From planning a trip to booking a ticket and ordering a car to the airport – the application was created to help you throughout the trip. Start saving your time: choose your ideal hotel, but do not forget to browse through the list of special offers with the hottest discounts in the region. Look at the details of your flight and the hotel details together and wonder how much you could save. Forget about the long waiting at the airport on arrival. It is enough just to order the car in the application 30 minutes prior to arrival or allow to do it automatically. There is also a huge database with thousands of various attractions and interesting activities on all popular tourist routes, the ability to quickly book tickets for various tours, excursions and much more. 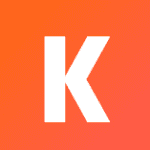 KAYAK Flights, Hotels, and Cars is a travel application that will allow you to plan, book and monitor your trips. KAYAK is a program that will make your trips as enjoyable as possible. Using it, you can book a room in a hotel. Choose the place with the most favorable price and do not forget to participate in private sales for the users of the application. It is also easy to choose and book tickets. Set the maximum number of transfers that you agree to. The function of predicting prices will warn you about the increase in the cost of the ticket. KAYAK will be your travel planner. With it, you can track the status of your flight, receive notifications of all delays. The application will tell you the number of your luggage at the airport and will calculate the time for inspection. With the help of KAYAK, you can easily find all the important zones of the airport: restaurant, toilet, recreation area. Do not know where to go on vacation? Set the full cost of the trip, and KAYAK will offer you variants where you can go with a designated budget. If you are worried about loved ones on the road, you will be able to track the departure, landing times and possible delays by specifying the flight number in the application. 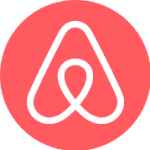 Start your unforgettable journey with Airbnb! Reserve cozy apartments or give people the opportunity to stay in your city! In the application, you can choose a house or apartment from 4 million variants in 191 countries. You can search by price, area, convenience, etc. Check out the experts’ reviews, explore the cities, streets, find the best bars, cafes and secret places. Get recommendations from local residents and owners of apartments. If you are a traveler, you have the opportunity to choose a house for a solo trip, family vacation or business trip. Save your favorite homes, invite your friends and plan your trip at home, adding interesting events to your itinerary. If you are an apartment owner, you can sign up for the application and start earning money. Share the most interesting thing that happens in your city and become a guide for guests. Send them messages when booking. 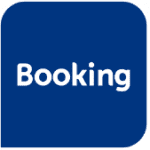 Booking.com is a popular Android travel app, where thousands of people around the world book hotels and apartments. With the app, you can easily find the perfect accommodation option for a vacation, a short weekend trip, and any other trip. The best features of the application are booking confirmation, convenient check-in without the need to print checks and other documents, as well as offline maps that can be used with each booking. Through the application, you can find more than a million hotels, houses, and apartments for every taste. Need to reserve a room at the last moment before the trip? Here it is possible. Simply enter the city, find a suitable hotel with free rooms and book a place with a few touches. The application allows you to filter hotels and homes by the availability of Wi-Fi, minimum / maximum price, reviews, and ratings of guests. This makes it easy to find the best offers. You can add the best houses and hotels to the list of favorites, share information with other users, find the most comfortable and profitable housing in different cities, and book with a few touches, just logging into the account. Also in the app, there are maps of hotels and reserved rooms/houses, the possibility to make changes to the reservation and technical support in the 24/7 mode (you can contact both by phone and via email). Even if you do not have a system account, you can still enter the data into the application – simply enter the booking PIN. To learn more about the features of the application, visit the site Booking.com. Agoda: Hotel Booking Deals is an application for searching and booking hotels all over the world. It is fast, reliable and profitable. Agoda is an indispensable application for any traveler. With it, you can choose a hotel with a convenient location, compare prices and book a room you like. 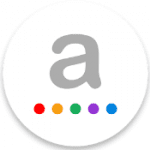 Prices in Agoda sometimes even lower than on the same site, besides, you can have time to pay for a number at a discount or a secret price, available only to users of the application. When choosing a place, pay attention to the reviews of other users of the site and the application, and also do not forget to leave your impressions about staying in the room you paid for. The booking information required by the hotel is stored on your device in the form of a voucher, so you do not have to worry about losing your paper reservation. You can also make changes to your reservation at any time. And if you have problems or something will go wrong, Agoda provides its users with round-the-clock support in several languages. Contact Agoda’s support agents for help and your problem will be solved as soon as possible. And if you are the owner of the housing that is waiting for the guests, then just register for free on agoda.com/homes and start earning right now. This is not just another simple service for finding cheap air tickets. The Hopper application can tell you the optimal time to purchase tickets for your trip. Hopper analyzes millions of air flights daily and gives the most accurate prediction of changes in their cost. The application interface is minimal and clear, and navigation consists of four sections: Dates, Prediction, Tips, Flights. First of all, you will need to specify your location to search for the nearest airports. Further, by selecting departure and destination points, you will receive detailed information for planning the ideal trip. Two tabs will help you to find an optimal price: Dates and Prediction. On the first, you will find a calendar, where each date is colored by different shades depending on the cost of the air ticket. The second will tell you about the future prospects of a rise in price or a cheaper flight. There is also a Watch this trip button, which includes notifications about the optimal price for the specified direction. The other two sections contain tips to help you reduce costs by changing the departure airport or traveling with a transfer. 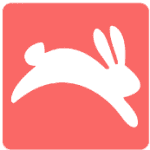 You can download Hopper for free. Hopper actually helps you to save your time in the daily search for the optimal price. Do you want to make travel around the city easier and more comfortable? 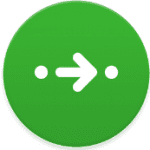 Download Citymapper app on your device then! Here you can find all types of transport for making the best route in real time! Smart travel planner will help you find the best walking and transport route. It combines all types of transport, from the metro and ending with a taxi ride. You will discover the unique routes that you never even suspected. Get up-to-date real-time data, browse bus and train schedules so you never miss them. Personalize the city of your arrival, save bus stops, railway stations and metro lines for quick access. Get daily updates right on the lock screen, plan your travels step-by-step in real time and save them for offline viewing. With this application, you no longer have to search for a parking or use uncomfortable public transport. You can order a trip with several touches and pay for it in any convenient way. The application will quickly help the driver and passenger find each other in a huge city. This is the perfect solution for any occasion, whether it is a trip to the airport, to the train station, home or to work. The application is used in more than 500 cities around the world. Need to get to a certain place? Open the application, and enter the destination. The system itself will find the nearest driver and tell him where to meet you. When the driver is found, you will receive his photo, information about the transport and you can track the movement of a taxi on the map via GPS. You can pay in any convenient way: by cash, by credit card or by electronic payment systems (PayPal and Android Pay, for example). After payment, you will receive a receipt with information about the payment by e-mail. In the application, you can order different types of trips. Need to get to your destination as quickly as possible? 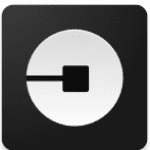 You can use uberX – the best option for fast individual trips. Use uberPOOL and you will save a lot on traveling with fellow travelers. Do you like to ride comfortably? Order a premium car with the service UberBLACK. 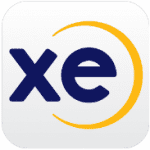 XE Currency – look through the world’s currencies with just one touch on the screen. With this tool, you can convert operations at the current exchange rate! The application shows the real rate of all world currencies, creates charts of their growth and fall, and also sends notifications in order to monitor the market for the required currency. You can adjust the frequency of notifications in the desired interval. The application saves the last updated courses, so you can view them even without an internet connection. The program has a simple and convenient to use currency calculator, which simultaneously can convert up to 10 courses. Exchange rates are updated every minute. Take this app with you while traveling around the world! 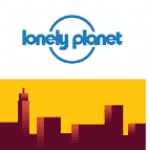 If you go on a trip, you should download a new application from Lonely Planet called Guides. This application contains maps, recommendations, and guidelines on budget planning for some popular tourist cities around the world. All application data is available offline. This is quite handy if you do not even have a local sim card. Now in Guides, there are 37 cities, including Amsterdam, Barcelona, Paris, and Vienna in Europe, as well as Boston, Chicago, New York and Washington in America. After downloading the guide, you will get the review of a chosen city, a currency converter, tips on how to spend money and much more. On the map of each city all the interesting places, restaurants, bars, hotels, shops and stuff are marked. Planning a trip has always been not an easy task because there are many nuances that need to be considered. 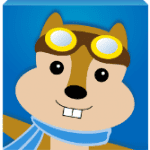 For those who want to use simpler and better customizable applications, you can try Hipmunk. The Hipmunk application is interesting because it can find the offers, the best in terms of price and quality, taking into account both the price and the time on the road, and for this, there is a function called Agony filter. Of course, offers can be sorted by price, or, for example, by the time of departure or arrival. Unlike many other resources for finding housing, Hipmunk also displays objects in the selected location that are rented through Airbnb. You have many friends on different continents, just do not know about it yet. 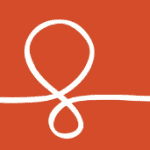 Download the Couchsurfing application and start communicating with people from all over the world! Couch-surfing is one of the best ways to get acquainted with a foreigner, to find real friends for life, people who help you and many others. More than 12 million travelers use Couchsurfing in hundreds of thousands of cities around the world. With this application, you can plan a trip and view all its details at any time. Find people who are willing to meet you in another country. 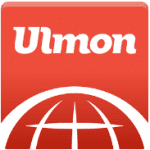 At your service, there is a huge database with offers from millions of users from different countries and cities. The best way to plunge into the local culture is to communicate closely with its representatives. So, you can easily plan where you will stay at the next point of your trip. You can find new friends through information about various interesting events nearby, which are arranged by other representatives of Couchsurfing in your city or wherever you will go soon. Can not go on a trip yourself? Do not have enough money or do you want to find a company? Then find companions and plan joint trips right in the application. In addition, the application allows you to create a profile on the Couchsurfing portal, manage requests from other travelers, publish photos taken during trips, and find your friends on Facebook. The application serves as a guide for users, helping to create the route of the excursion in a few minutes, to make the most optimal way and even share information about your excursion with friends. If you are already on a business trip, then Sygic Travel can automatically determine your location and offer you all the possible sights that are available to visit in this city. If you have not started your journey yet, you can choose the city of interest from the list, or use the search line. The application will give you a list of interesting places that are worth visiting and will help to make a route. Sygic Travel will tell you about tour groups with guides around the city to which you can join. Your account in the program will save all your changes and additions that will be displayed on any device when using the application. Foursquare City Guide is a unique application that will allow you to visit an ideal place in any country. With this app in your pocket, you will always get useful advice and recommendations from the global community! The program allows joining a large team whose members love to explore and look for new places. They leave short reviews. On their basis, you can create a list of cafes and restaurants, where you want to eat lunch while traveling. 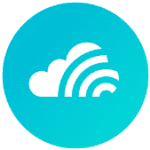 Follow your friends, brands, get passwords from WiFi networks and much more. Keep the history of those places where you already were, and you can always return to them later, according to your list. Leave your recommendations about pizzerias, about where the best coffee or hamburger is sold, so that people during the trip could not waste time searching for tasty food. 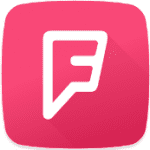 More than ten millions of users choose Foursquare to equip their smartphones and tablets. 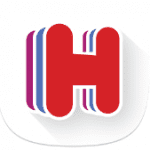 Hotel.com is an application for searching and booking rooms in hotels in more than 200 countries. The program is for free, fast and efficient. Use the intuitive search and order a hotel room on the right date in one of the half-million hotels presented in the database. You are waited by a wide assortment of categories, different prices and the guaranteed safety and quality. In a special section, you will find information about hot tours or unique offers of some hotels. With the help of the option “Local offers”, you will find a suitable offer for a few seconds and you will be able to use a large discount. This possibility is provided only to users of the Hostels.com service. Thanks to the hard work of developers, you can use the program on “smart” devices, for example, watches. There you will get information about the new status of your reservation, about new promotions and profitable offers. Before starting work enter your personal account info – you only need to register once. Do not forget to try the Rewards program. This is a unique offer for active users of the platform, which promises to pay for one night stay in hotels if you book a room for 10 days. All the places you visited will be reflected in the account – you can view them in any convenient way. Roadtrippers is an app for those who think about the process itself, rather than the route from point A to point B. Simply enter the departure and destination points and specify what you would like to visit along the way and Roadtrippers will tell you what you missed and what else you can visit on this route. 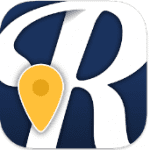 You can plan trips directly from the application or on the Internet using roadtrippers.com, and then share them with your friends. Any trips you have saved or liked will automatically sync between devices. iTranslate: Language Translator and Dictionary is a modern application for Android and iOS devices, combining the functions of a convenient translator, dictionary, and phrasebook. Now you can translate texts and start speaking more than 100 languages! With the application, you will receive only the most accurate data. It should be noted that the application is already configured to work with words from the most popular and often used topics – technology, shopping, science, communication, sports, business, health, etc. The application is convenient to use on trips, thanks to the offline mode, which works without internet connection. You can listen to the translation of texts recorded in a male or female voice, switch between different dialects, use a dictionary, transliteration, look through history and bookmark. With this translator, you will no longer need a dictionary. Here you will always find translations of words from various topics, information about words and even transcription. 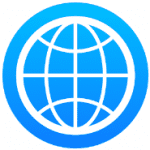 The offline mode supports 13 language packs: English – Portuguese, Spanish, Polish, Arabic, German, French, Italian, Russian, Chinese, Turkish, etc. The system makes a sound translation. 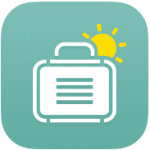 iTranslate is your irreplaceable assistant when traveling abroad. Now you can easily communicate with foreigners and not be lost in any country. 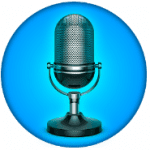 Translate Voice: Translator is a program by means of which it becomes possible to perceive and qualitatively process a person’s speech and translate into any language of the world. Now you can easily talk with someone you did not understand before due to translation problems. Thanks to the application, the language barrier dissolves, you feel at home in any country. With the help of a pocket interpreter, you easily find the way to the right place or make an order in a cafe. The program can work with both written and spoken language. Translate the phrases into the language that you choose. At the base of the platform, there are more than eight dozen foreign languages spoken by people in the most popular tourist destinations. Take the smartphone with you if you are going to travel to England, France, Germany or Italy, to Japan or China. The app especially useful for those who often travel to Indonesia, Vietnam or Turkey – because the languages in these countries are quite difficult to tourists. The application automatically fixes errors in the entered text, whether it’s a single phrase or an entire sentence, saves the history of search and allows you to instantly share important information via social networks with your friends. You will be pleased with the ability to enter text in 80 languages. Download the application and use it for free. In some countries, the program may contain advertisements. In addition to the above applications for travelers, there are many other different services related to the search for food, communication, finances and other spheres of life, exciting for everyone who goes on holiday to another country. But must-have applications are those a real traveler cannot do without. And now you can easily download them for free, and your journey will become much more interesting and memorable!